Over the past few years, the global auto industry has come to something of a two-part consensus: First, the future of driving involves running on electrons, not exploding petroleum. Second, the best way to package those electrons is in the kind of vehicle people really want: an SUV. Audi has the E-tron, Jaguar the iPace. Cadillac is leading General Motors’ electrification scheme with an SUV. Porsche just announced its small SUV, the Macan, will soon come with a battery. And as you might guess from those company names, these vehicles do not come cheap. Polestar has a different approach. Volvo’s electric- and performance-based brand today unveiled the Polestar 2, which makes a point of not being a luxury SUV. “They already have enough coming,” CEO Thomas Ingenlath says of customers who want the pricey, hulking things. His team has spent more than three years working on a midsize, five-door fastback, a sedan-like design for a vehicle aimed not exclusively at the fancy. It’s a car that has a lot in common with the one Elon Musk has been busy building. Along with a zero to 62 mph time under five seconds, the Polestar 2 offers 11-inch center screen running Google Android software. 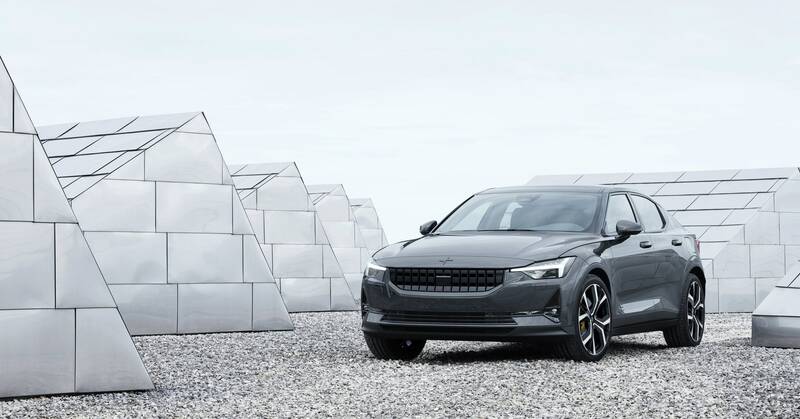 As the oh-so-creative name indicates, this is Polestar’s second vehicle, though the Polestar 1 functioned more like a proof of concept for the relaunched brand: It was a hybrid rather than a full electric, was based on an old Volvo concept, and cost $155,000—more than an Audi R8. This new EV is meant to be the brand’s proper first car, all-electric and original. On the spec front, the Polestar 2 holds its own. Pulling power from a 78-kWh battery, the two motors produce more than 400 horsepower and nearly 500 pound-feet of torque. They can get the car to 62 mph in less than five seconds and take it 275 miles between charging stops. Inside, you get an 11-inch center screen that runs on Google Android software, which should make for a more pleasant user experience compared with most automakers’ native systems. The Polestar 2 now starts at $63,000, and in about a year, Polestar aims to have a version available for $45,420. Even that’s a luxury price point, but add in a $7,500 federal credit and rebates from various states, and the cost of the car can drop closer to $30,000—still not cheap, but far below the Audi and Jaguar EVs that start around $70,000. When you look at its price, specs, and size, you see that the Polestar 2 has one obvious competitor: the Tesla Model 3. Elon Musk’s car for the masses currently starts around $42,000 and beats the Polestar by a bit on acceleration and range. But while you could call Polestar a Tesla-fighter, the electric category is becoming a bit crowded. So it’s a Jaguar-, Audi-, Mercedes-, BMW-, and more-fighter too.